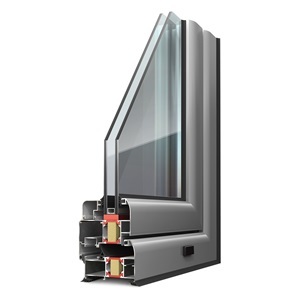 Albio 109C was designed taking into account the latest technological achievements in window system design. It has accomplished high performance on thermal insulation due to its 24mm width polyamide profiles. The excellent air-permeability test results and the ability of using up to 44mm thick glazing units offer high sound insulation. The use of perimeter multi-locking mechanism in combination with thermal break insulation, makes Albio 109C an absolutely secure system. The system also includes two different profile patterns, oval and classic. Doors, windows and shop fronts. Fixed, tilt & turn, etc.